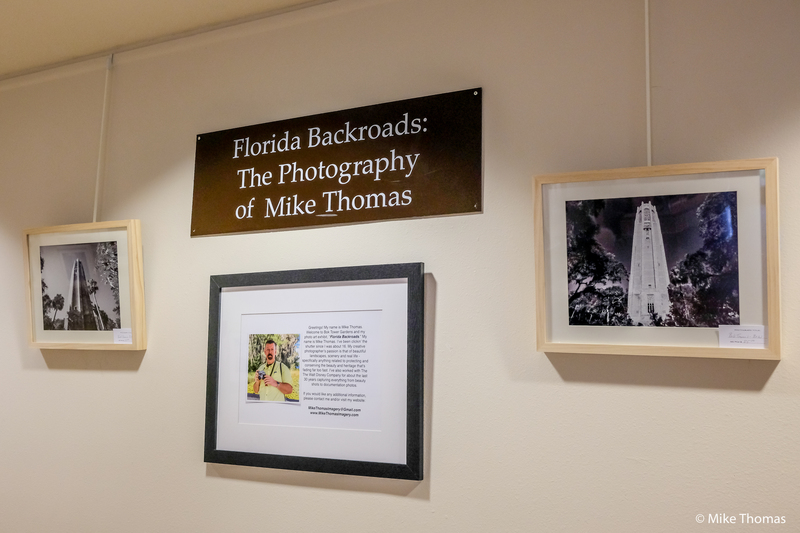 After little sleep, loading in of all the frames and other art pieces in the unusually freezing Florida temps (32 degrees) this early morning (“O’Dark Thirty” lol), my photo art exhibit, “Florida Backroads” is now officially open at Bok Tower Gardens in Lake Wales, FL. The exhibit runs through April 26th, 2018. All pieces on display are also available for purchase as well. Prices range from $85.00 to $110.00 per piece and include frame, matting w/backing and of course the image printed on archival fine art paper. Sizes range from 14″ X 18″ (frame and matte) / 11″ X 14″ print; 16″ X 20″ (frame and matte) / 11″ X 14″ print; 18″ X 24″ (frame and matte) / 12″ X 18″ print. Bok has also requested my work to be available in their get shop as well. FYI – the gift shop pieces will be offered in smaller sizes and unframed (matted & backed only) and will therefore sell at a slightly lower price (prices TBD). The aforementioned merchandise art will be coming to the gift shop within the next week to ten days. OK, so much for the sales pitch (for now… LOL). 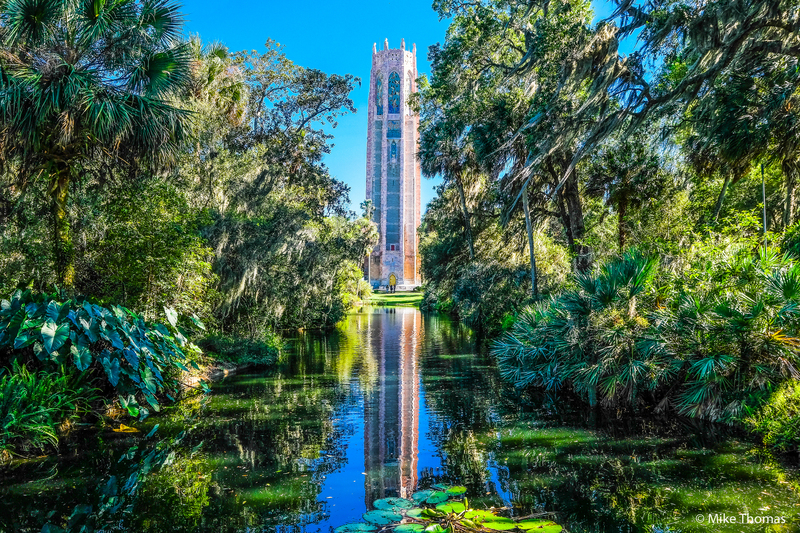 If you’ve never been to Bok Tower Gardens, you really need to go there – especially if you’re looking for a peaceful, tranquil, 250 acre environment with the tower itself (known as “The Singing Tower”) chiming out over the grounds as the musician in the tower loft plays an old fashioned Carillon. Click anyone of the Bok Tower Gardens links within this blog post for a full description and history of Bok Tower Gardens. And by the way, Bok Tower Gardens is on the National Registry of Historic Landmarks. Just can’t say enough good things about the place! Hopefully I’ll see you there. Bok has me doing a ‘Meet & Greet’ on January 24th from 2:00 PM to 4:00 PM. I’ll keep you updated as the event progresses. Y’all also might wanna check my Instagram Account (www.instagram.com/mikethomasimagery/) as well as I tend to post quick / short updates there. My Photo Art Exhibit Opens Tomorrow – Friday January 19th, 2018! So, yah – I’m pretty excited about my first photo art exhibit of 2018 opening tomorrow was Bok Tower Gardens in Lake Wales, Florida. But to be honest, all the last minute ‘stuff’ is taking its toll right now. I pretty much forgot about all that last minute ‘stuff’ ;). But it’s still all fun and so cool. For those that don’t know or haven’t seen my blog post (or Facebook / Instagram prior to this), my traveling art exhibit show I’ve been doing on and off now for about 2 years is getting a post by the good folks at Bok Tower Gardens. I entered into an agreement in about May 2017 to have a showing of my photography featuring all the natural b beauty of Florida. This show or exhibit is a never ending project. But it’s taken me about 4-5 years to go out and capture what I consider enough GOOD imagery to properly represent what I’m attempting to bring to the folks that appreciate – and those that perhaps do NOT appreciate and respect what was here in Florida long before growth, theme parks and more. 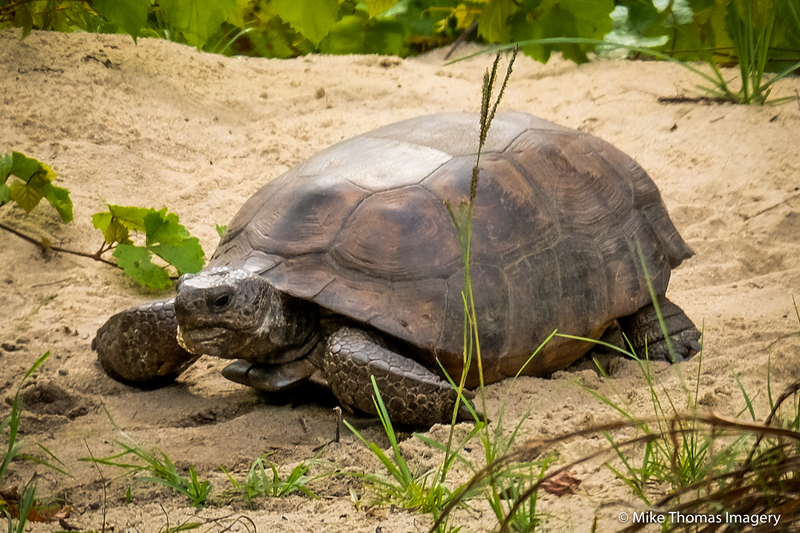 Anyhoo – if you’re looking for a little different, peaceful, tranquil escape, please consider visiting Bok Tower Gardens, and of course, check out my exhibit ;). Please click any of the highlighted links to Bok Tower Gardens for more detailed information about this National Historic Treasure! I’ve posted similar subject matter in the past with the same underlying premise. Translated, there are some shots that have taken me hours – even days to shoot due to lighting, placement, angle, availability etc… But there are those wonderful rare shots where I’m walking by something or someone, I just pick up the camera and click the shutter without even thinking or preparing. Then there are also shots like this one where I started out framing up a shot of the flowers with the bright blue sky in the background. 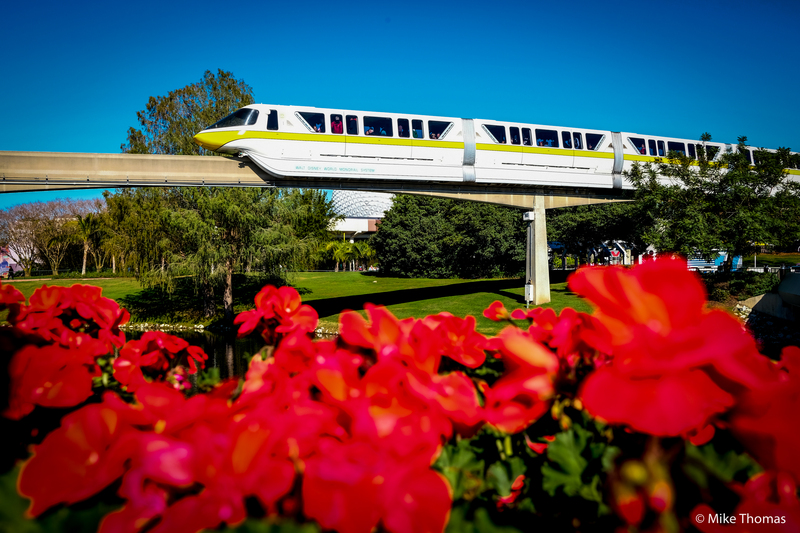 Then (in this case) – along comes the Disney Monorail ….. and …. voila !!! :). 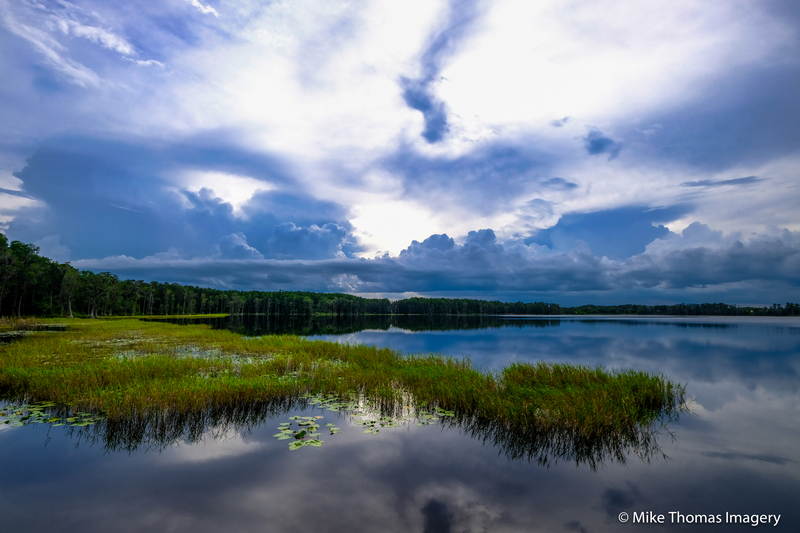 Mike Thomas’ “Florida Backroads” Photo Art Exhibit Coming To Bok Tower Gardens! First off, hope y’all had great Holidays! Also hope everyone is making their way through these frigid and snowy conditions on the east coast (and elsewhere, but I’m on the east coast and experiencing Florida’s version of a cold snap). OK, let me get right to it. 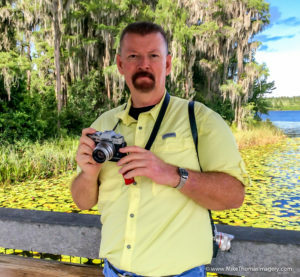 If you’ve read my blog over the last several years, you know I’ve visited Bok Tower Gardens in Lake Wales, Florida many times. I LOVE this place for many reasons but mainly because of its serenity, beauty, peacefulness, attachment to nature, the size (250 acres) and of course, the 205 foot ‘Singing Tower’ itself (click the Bok Tower Gardens link here or below for in depth details on the ‘singing tower’, the surrounding gardens and more). 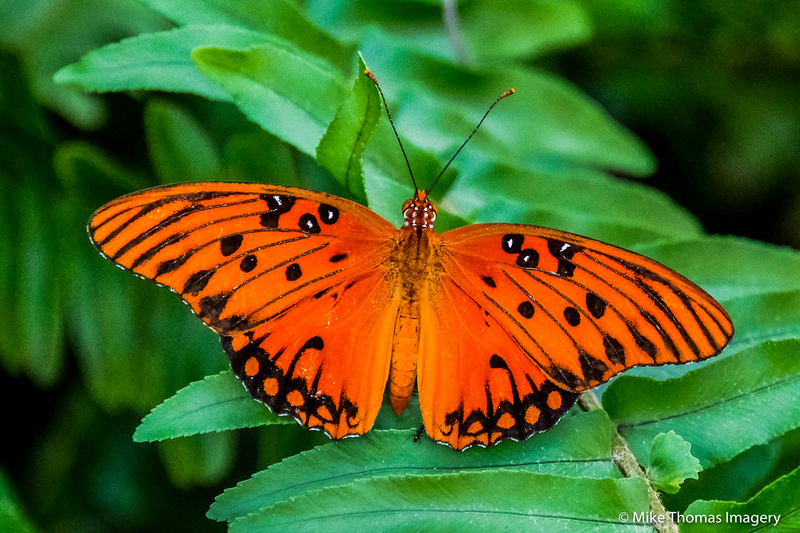 You can also find some wildlife, tons of butterflies fluttering all around you (and these offerings are all truly wild and not in a sanctuary or similar). Best of all, Bok Tower Gardens is on the National Historic Landmark Registry Listing – meaning it’ll be there for a long, LONG time! 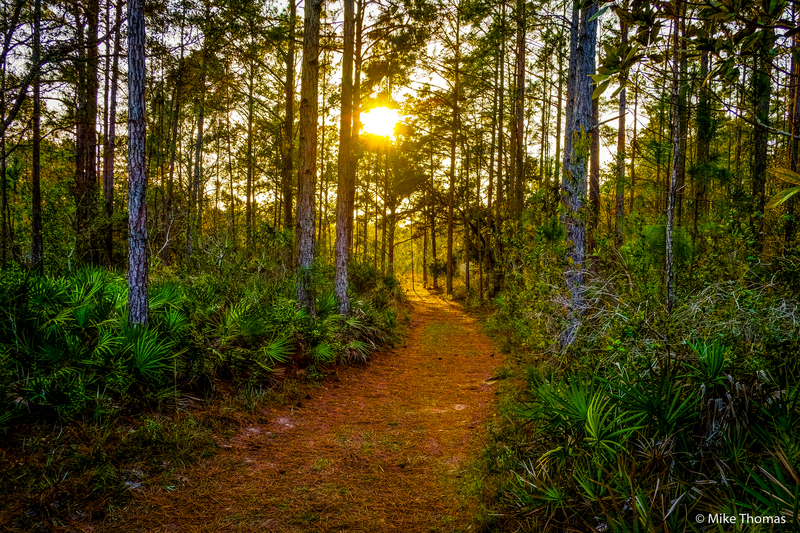 My exhibit entitled, “Florida Backroads,”will begin its run on January 19th, 2018 and finish on April 26th, 2018. All items on display will also be for sale (FYI – any items purchased will remain on display until March 26th, 2018 … at which time the buyers will then receive their photographic art pieces). 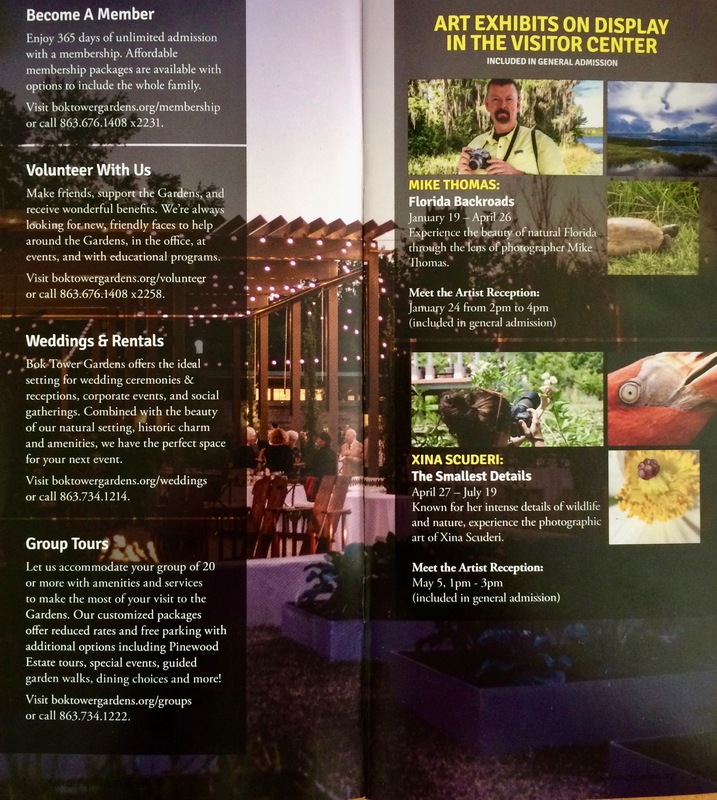 In addition to the exhibit, Bok Tower Gardens has me doing a ‘Meet The Artist’ type welcome on January 24th, 2018 from 2:00 PM to 4:00 PM. Refreshments will be served during those times and of course yours truly will be in attendance to casually chat and answer questions about my work as well as photography. I’ll update this blog with more information as the opening date draws nearer. I’l also post additional updates as the exhibit progresses. Thanks for stoppin’ by neighbor! Upon further research regarding this unusual monument, I discovered that this structure was the brain child of Dr.Charles Bressler-Pettis. 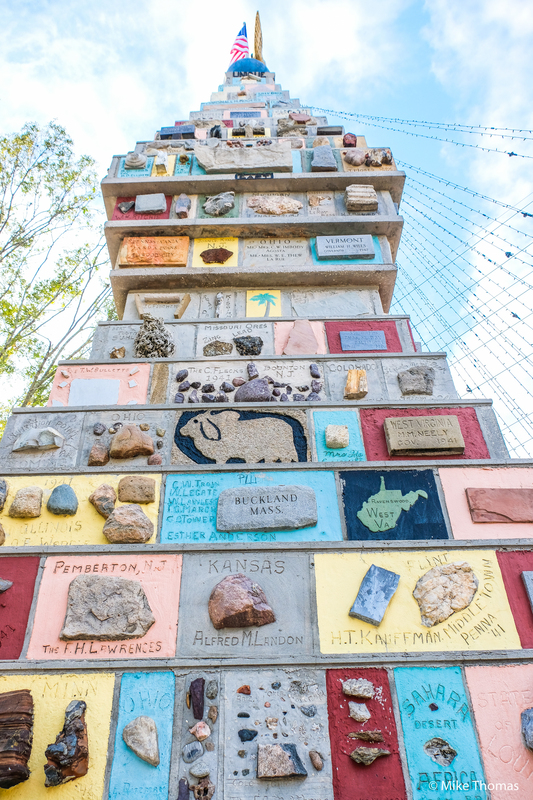 Dr. Bressler-Pettis’ idea was to have every one of the United States send a rock significant to the respective state to him. He would then use these rocks within the construction of The Monument Of States. The reason behind it all was to create or display a symbol of patriotic unity in the early, dark days of World War II just after Pearl Harbor was attacked. Dr. Bressler-Pettis sent out a letter to each of the governors of every state requesting a rock from each respective state. The response to his request was phenomenal and unanimous. All 48 states (at that time) complied and became a major part & contributor of this project. If you look closely at some of the pictures herein, you’ll see what I mean. Each little section is labeled or named and has a rock (or something similar) within it. 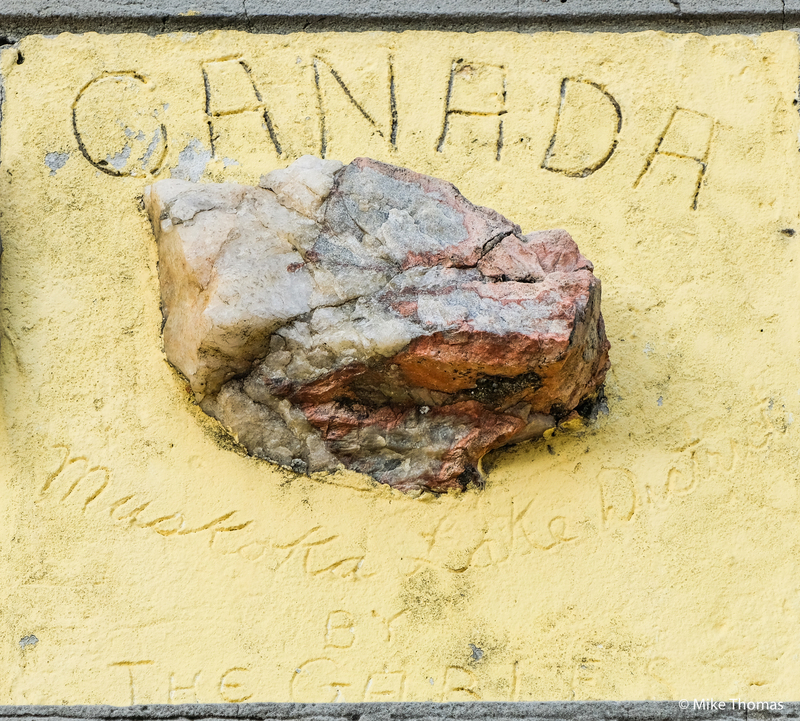 Over time, more rocks and placards were added to the monument. 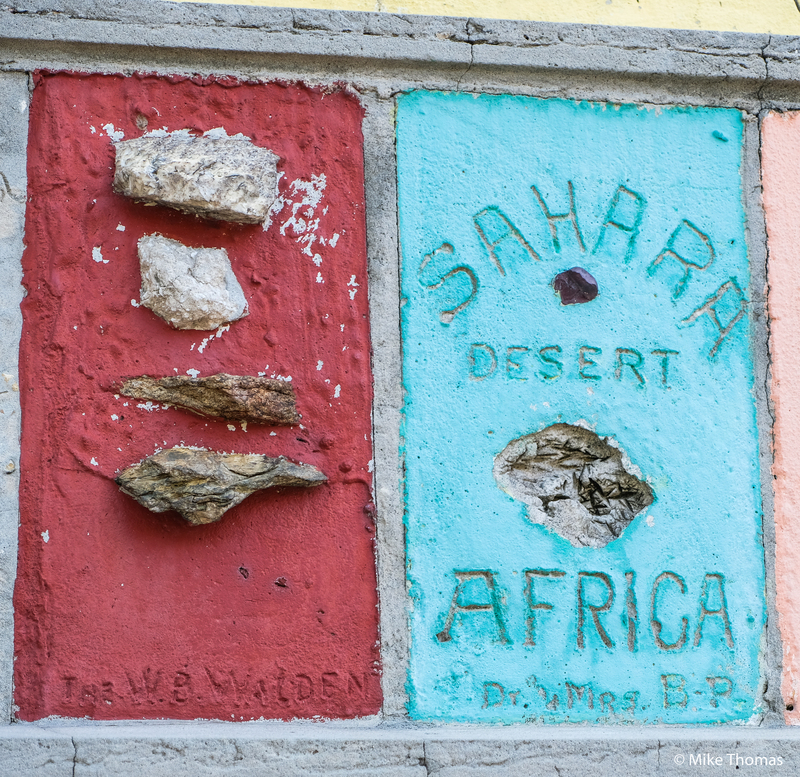 You’ll see offerings from Canada, Africa and more in the monument (and in a few of the photos). 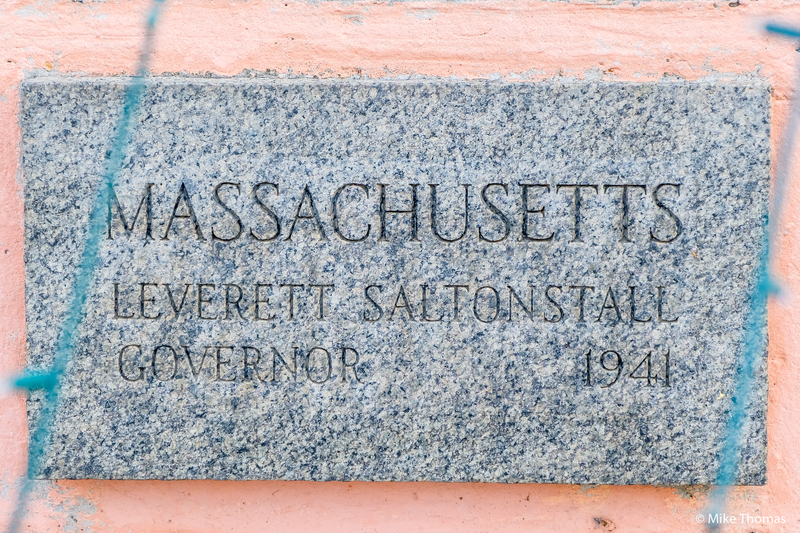 The Monument Of States was created in 1942. Here it is 76 years later and it’s still standing! As a side note, the monument did have a facelift of sorts in 2001 making it look even better and due to incidents at around that time frame, have even more significance. 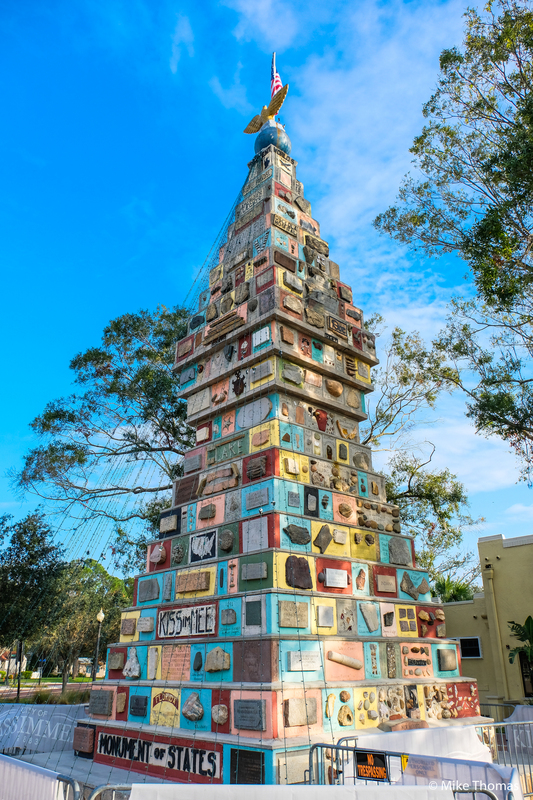 If should ever want to go see this thing in person, the address is 300 East Monument Ave, Kissimmee, FL. It technically resides in Lakefront Park at the aforementioned address. To all who perished and to all who survived this day in 1941, you’ll never be forgotten by this photographer / writer! Pray for peace everyone! Thanks for stopping by! And most important, thank you to every U.S. Military Person who is or has protected all of us from harms way. God Bless All Of You and your families! So there I was – at a place called Bok Tower Gardens in Lake Wales, FL. Yes, I’ve posted a few blog articles on this gorgeous, peaceful, nature abounding place before (and more to come). I was there taking care of some “business”. And by the way, the “business” I speak of is pretty darn cool ;). There’ll be a separate post announcing some very exciting news for yours truly and whomever else wants to be a part of it all. But that post / announcement won’t be here (on this blog) until Friday (day after tomorrow, August 17th, 2917). Anyhoo – back to where I got off track lol. 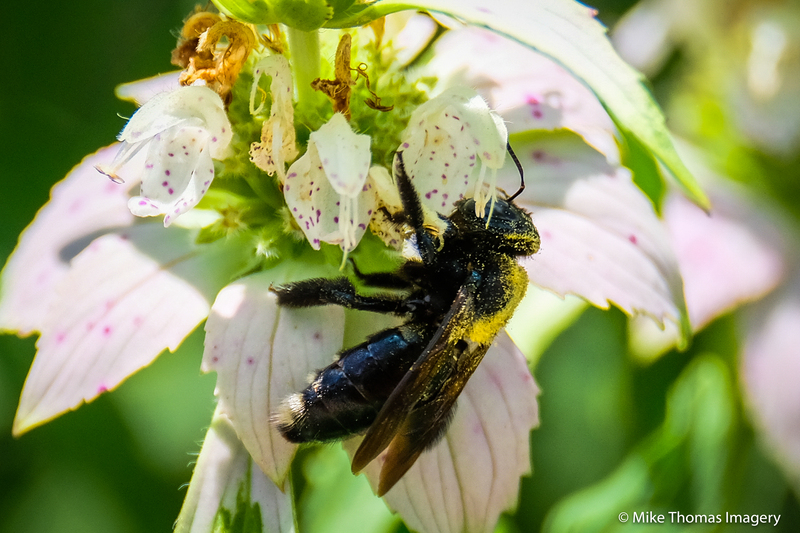 While I was out walking in the gardens at Bok, I was astounded by the amount of butterflies and bumblebees hanging out in those gardens today. It was almost like an enclosed butterfly sanctuary – but – without the enclosures ;). 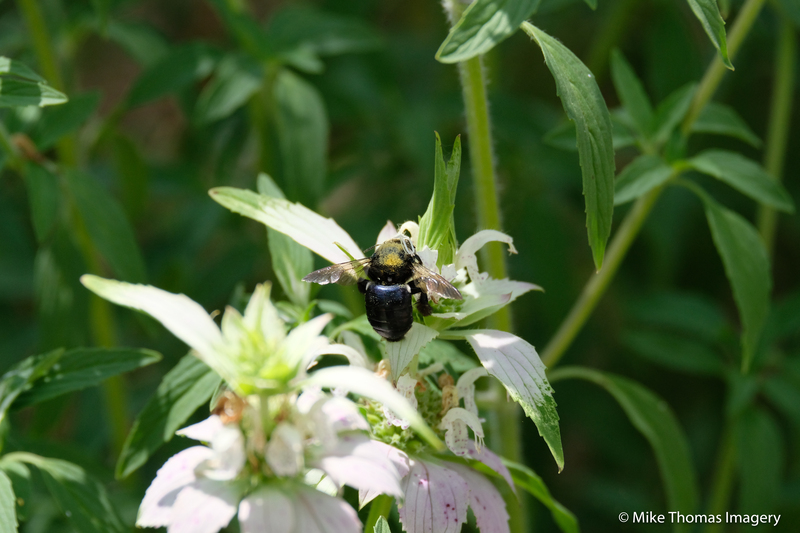 It was all wild, fluttering wings of both butterflies and bees. Scary to some who have an aversion or fear of bees perhaps. But to this photographer, I was right in my wildlife, nature element. 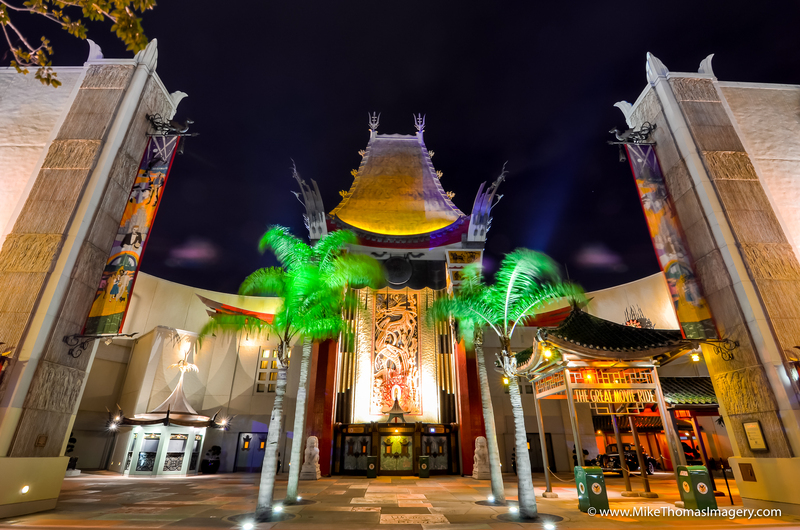 This post is about change, moving forward, embracing the future and sadly, saying farewell to two of my most favorite and nostalgic attractions ever at The Walt Disney World Resort. 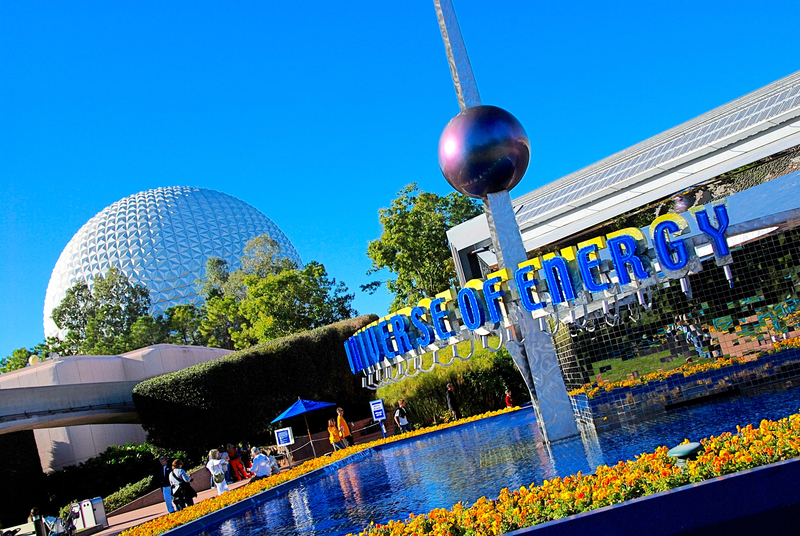 Upon my second visit to Walt Disney World was in 1984, two years after EPCOT Center opened. Among the many rides and attractions, one that became my favorite: “The Universe Of Energy.” I thought it was THEE coolest ride ever. It was powered (and still was up until today – the final day of operation ever) by solar panels on the roof. It had moving theater cars that moved sections of an entire seated audience in and around the show / theater. The main focus was on energy, how and where it came from dating back to the dinosaur era. The attraction also contained many audio animatronic dinosaurs, too. All around very cool ride that in it’s day was so advanced and high tech. It remained a nostalgic favorite all through the years even through several changes spanning the 35 years of operation. Well, I believe it was George Harrison that used the line in one of his songs (or maybe it was an album title – don’t remember and it’s not really the point), “All things must pass.” The Universe Of Energy’s time has now come and gone. As of Sunday August 13th, 2017, the attraction loved by so many is no longer. The Walt Disney Company has decided to shutter the doors to make way for a brand new attraction. Exactly what and when that new ride will debut is not fully clear yet. To all the Cast Members, technicians, Imagineers and everyone else that helped keep that attraction running and made us all feel like we were part of the movies, an incredible heartfelt THANK YOU! I get it when it comes to growth, progress, change etc… Walt Disney’s dying words to his brother Roy were, “Don’t let my parks become a museum … change, grow and update forever.” Nonetheless, it really does put a lump in my throat seeing these two classic attractions go away. Here’s to the future – whatever it may bring all of us! When I got to Dixie Lake, I walked down the pier to the waters’ edge. There I found a non typical Florida sunset as you see in this shot below. The contrast and dynamics the huge clouds created made for a pretty nice and different shot. Enjoy! There are times when I have some preconceived notion of capturing some unique, funny or just different type of shot. I head out looking for it often times – actually, MOST times never come across it. 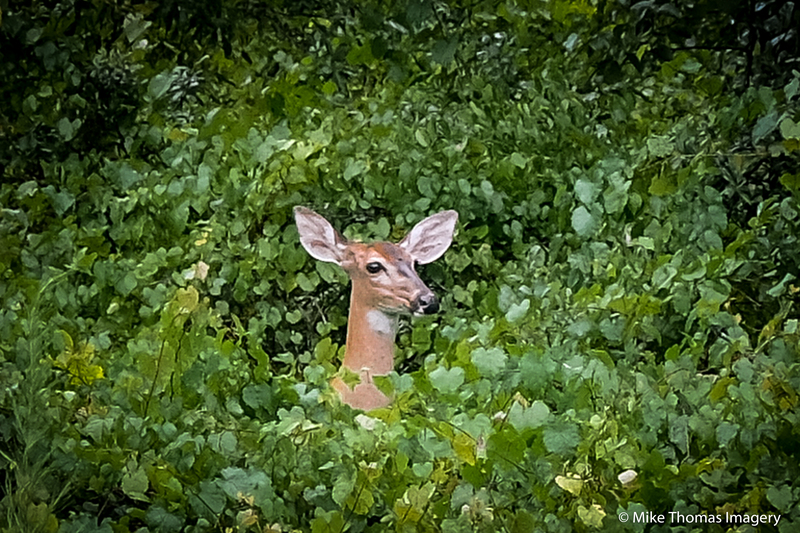 Then there are days I throw the camera in the car, head out for a joy ride, perhaps pick up a Dunkin Donuts or Starbucks coffee and just drive down some old country road – – – and come across “Mr. 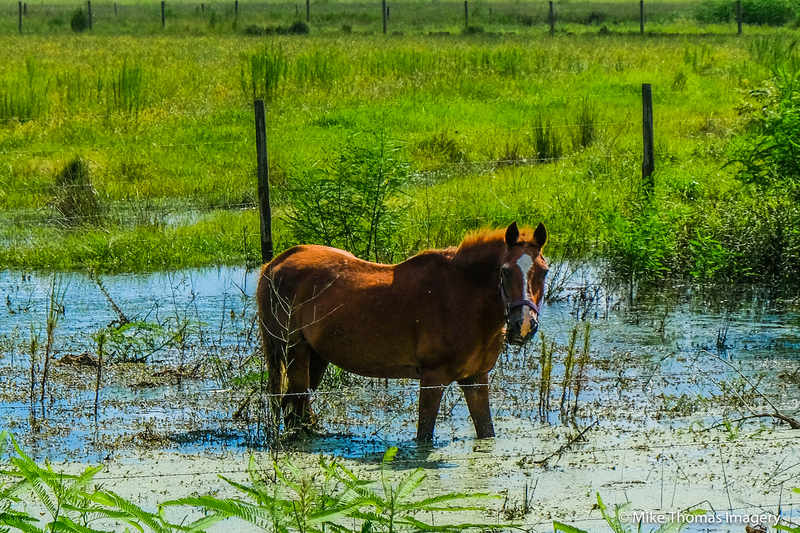 Ed” taking a dip on a hot Florida afternoon :). 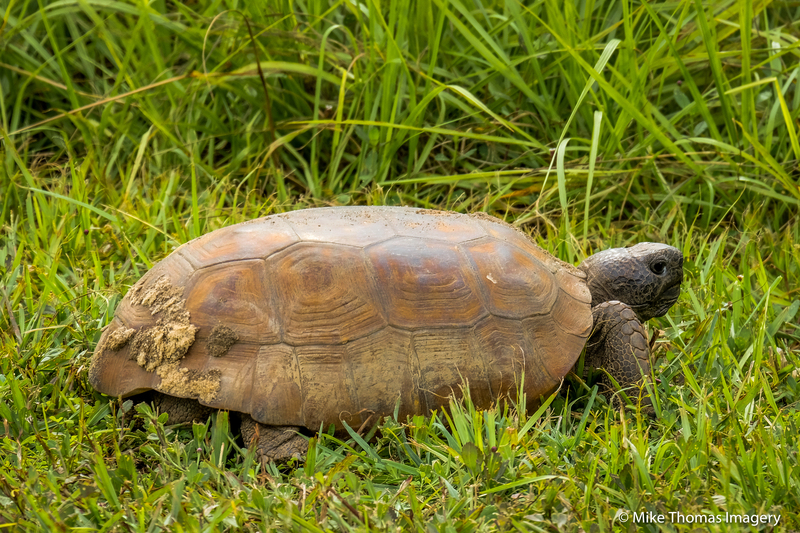 This poor guy was just too hot in that Florida sun but managed to find some relief. My parting words – especially to any aspiring photographers: Get in the car, put it in drive and just GO! Ya’ never know what you’re gonna find. 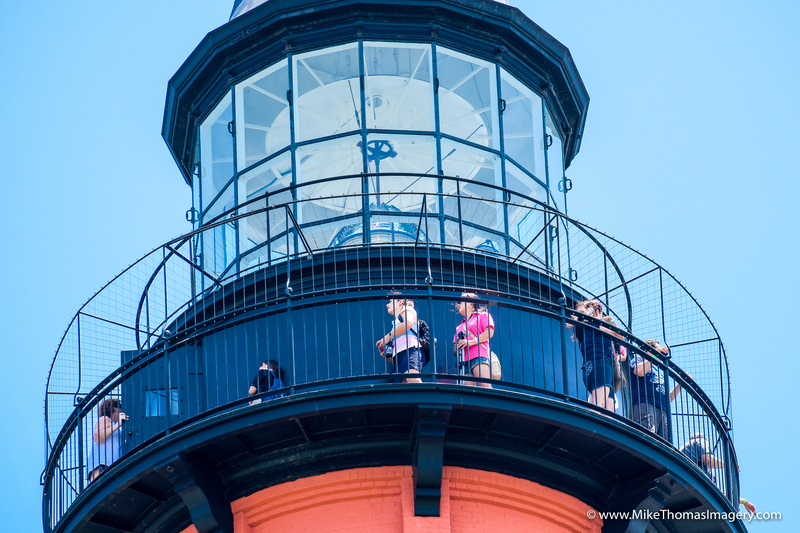 the light house shots are that of Ponce Inlet Light, located at the southern most tip of Daytona Beach. This time around I shot with a hefty telephoto zoom versus my usual wide angle. 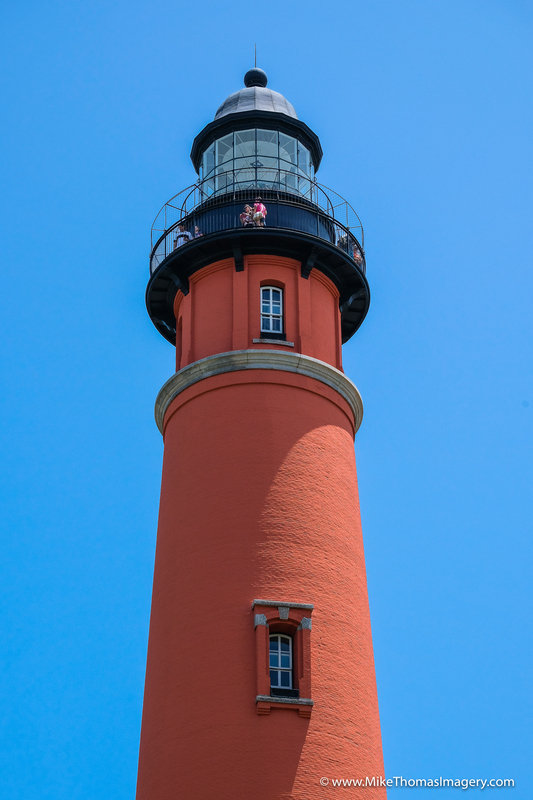 Kinda neat to see those folks up there that climbed this lighthouse (the tallest one in Florida by the way). I’ve climbed this thing in the past. But it was pretty crowded being a weekend day and I figured I didn’t wanna invest that much time that day. Oh yah, and I probably would’ve needed an oxygen bottle at the end of it all, too LOL :). 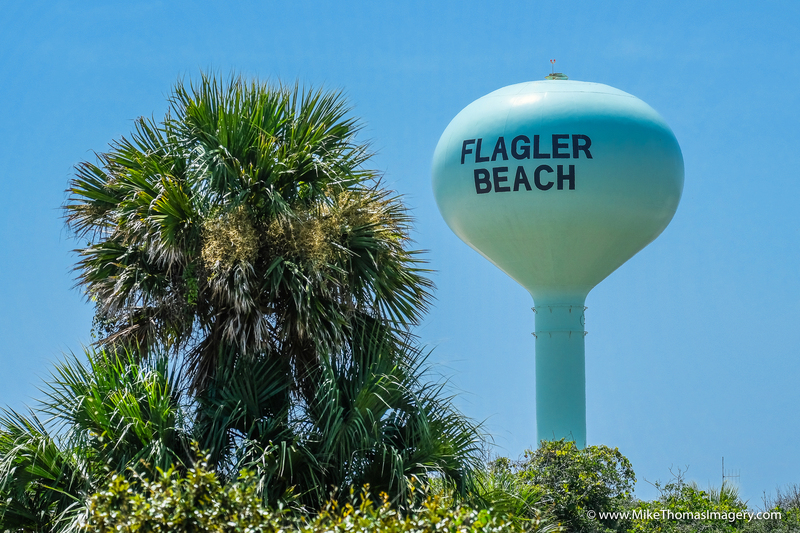 The “Flagler Beach” water tower, well, speaks for itself. But with the green vegetative foreground and the nice blue sky, I thought it’d probably make an OK shot. And the beach shot – – – well – – – the only problem with taking almost any beach shot is that they all look the same for the most part: sand, water, sky. Granted, beautiful and relaxing. But from a photographers stand point, difficult to make each shot look that mush different. But I still liked the look and feel of it. I love the feeling any ocean shot brings! 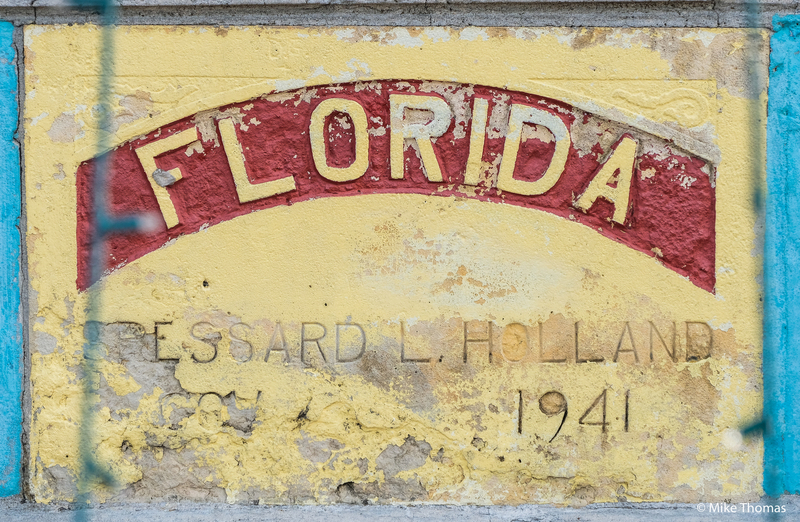 So if you’ve read this blog at all, you know one of – if not my biggest passion – is the natural beauty and lesser known roads of Florida. Fairly soon, there’ll be lots more coming about all that but that’s another blog post for another time. THIS article has to do with one of my best, long time friends, Rebekah Lyn. Rebekah is an author with 4 or 5 books to her credit thus far. Of late, she’s been working on another new one. Release date has not been confirmed at this point. Recently, I had the honor to be asked to shoot the cover photo for this new book. The shoot itself went great, albeit, it got VERY hot very quickly. But we were all only out in the blazing Florida summer sun for about 2 hours. Well, I certainly don’t wanna give anything away about the new book – including the actual final contenders for the cover picture. 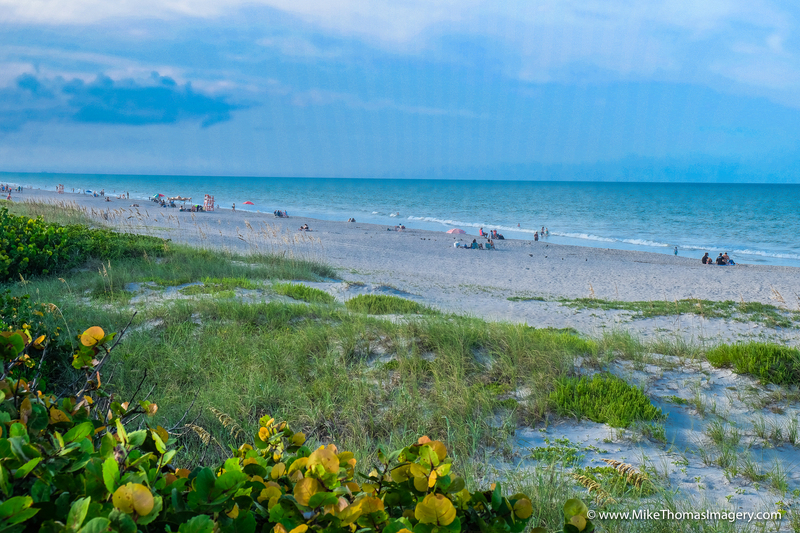 However, while I was out there with Rebekah, I managed to click off this ‘generic’ shot in an area near the Space Coast. Hence, part of the reason for this blog post. 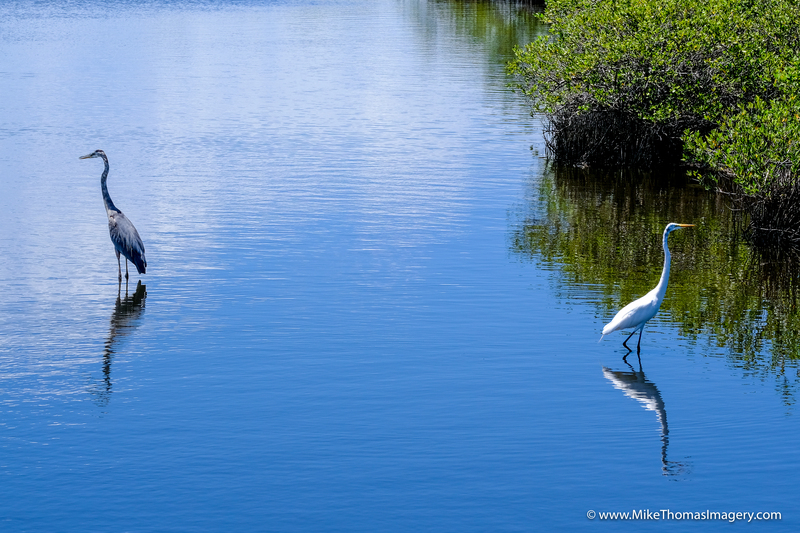 The location I was shooting that day was near Kennedy Space Center on the east coast of Florida. The combination of that, plus shooting for Rebekah’s new book reminded of one of her recent books I really enjoyed, “Jessie.” So here’s the shameless plug for my friend & author Rebekah Lyn ;), check out the particular ebook I just made mention of by clicking the link to Amazon below. Well I guess this must be show off or modeling season for deer here in Florida. 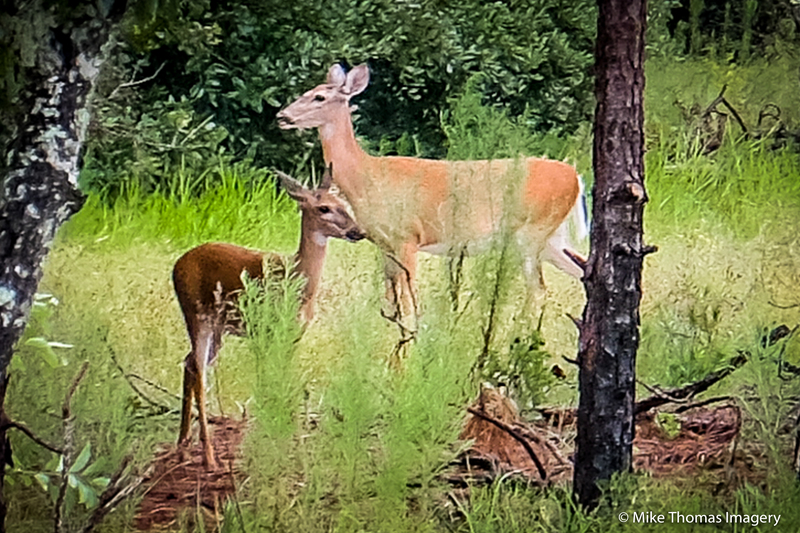 Everyday I’ve gone out shooting for the last week or so, I’ve managed to come upon between 3 and 6 deer a day – including this great capture above (if I do say so myself lol) I was lucky enough to photograph of a mama and baby deer. Certainly no complaints, mind you. Maybe I’m finally learning the tricks of when the best time is to go photograph these non camera shy beauties – like this cute ‘peek-a-boo’ shot above :). Ahh, mother nature!